Dating doesn't need to be challenging. When it comes to landing the dream job, we have no problem spending hours on a resume, going to practice interviews, and hiring a headhunter for an extra boost. Getting the job you want is hard! But so is finding the partner you want! Yet, for some reason, people think that it will, and should, come so easily. Online dating is now the second most common way to meet someone (the first being set up by a friend). And with increased popularity comes more dating sites that are better suited to more people. So be sure to take advantage of this, and choose a dating site that speaks more clearly to what it is you're looking for. 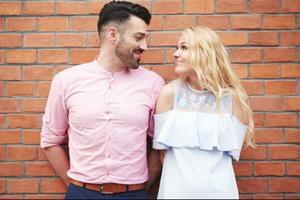 If you’re after a bit more substance than what some of the other dating sites offer, try Zoosk​​, which has sparked millions of romances worldwide. And for an added bonus, Zoosk​ also has great security features like Photo Verification which keeps scammers and fakes off the site. If you’re a career-driven individual who’s looking for someone who can keep up try Elite Singles. Instead of swiping through thousands of profiles, the site’s compatibility model uses an in-depth questionnaire to help singles find the perfect match. It’s really easy to get fed up with the dating scene. But sometimes we need a reminder that love lasts a lifetime and you shouldn’t rush into something or give up too quickly. 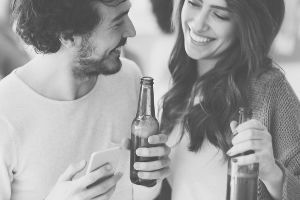 If you've been on a dating site for a while and haven’t met anyone worthy, tell yourself that these things take patience and that you've got to sift through a lot of before you find a winner. For an added boost, try a dating site that does the matching for you. Zoosk's Behavioral Matchmaking learns from your behavior on the site, to understand exactly what you want in a partner, and offers matches based on that. Everyone knows someone who has either a horror story or a love story—or both—with someone from an online dating site. Remember that no singular person could ever represent the entire world of online dating. So don’t quit because of one bad date or awful guy. The next one could be the best one. In order for online dating to “work,” whatever that means to you, you have to actually put yourself out there and be proactive. Send the first message. Ask out the other person. Take the time to really put your personality on your profile. We’ve all been on a first date where we just know, before even sitting down, that it’s not a match. And then the lights turn off and your head goes somewhere else. You might be thinking of your grocery list, work tomorrow, or the shows on your Netflix queue. As tough as it is, try to remain present for the remainder of the date. You’ll never know what you might get out of it—a friend, a colleague, a new fun fact—if you’re ignoring the other person. If you need to be late, tell your date. If you need to cancel at the last minute, call your date. If you don’t want to see someone anymore, tell that person. Just because you met online or you don’t go way back doesn’t mean this person has fewer feelings than someone you know well. If your life’s not changed quite yet, maybe it's time to give some of the best dating sites a try! Head over to Zoosk and see who's out there.